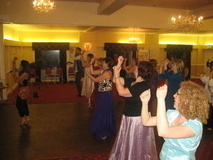 Bollywood Magic provides bespoke choreography and teaching services enabling anyone to enjoy this fabulous dance. We are known for our unique routines and providing professional and satisfying service. We offer a range of services for everyone to enjoy; from those wanting to try out something new to those wanting to learn a dynamic and fast routine to give a breathtaking performance!